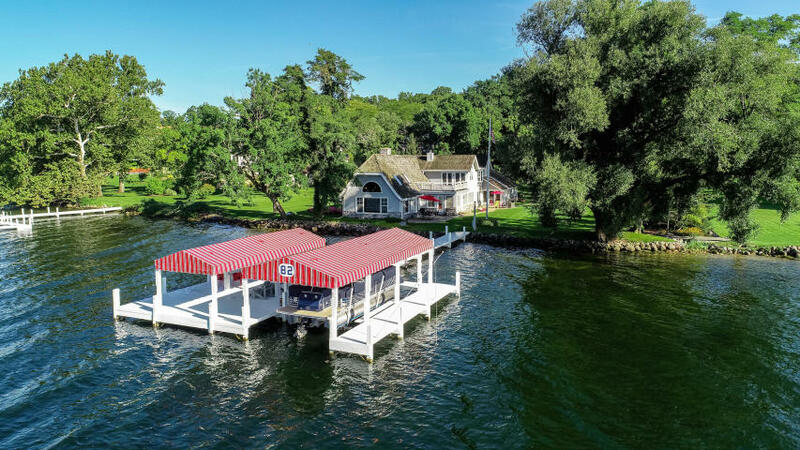 Built to house the steam yacht Hathor, the original Bonnie Brae Boathouse has been converted into a lovely single family home and is one of the last remaining residential boathouses on Geneva Lake. Four bedrooms plus sleeping loft, four baths, screened porch, sunroom, large pier, and detached storage garage. A stunning location at the water’s edge, with 185′ (+/-) of dead level frontage, and a large lakeside lawn. Magnificent sunsets and sunrises, a deeply wooded north shore lot, and a most unique disposition on the lake makes this one of the most exciting offerings on Geneva in years.